Discover your dream dessert in this collection of scrumptious recipes. From Tropical Coconut to Raspberry Ripple, Chocolate Toffee Crunch to Toasted Marshmallow - find your own little slice of cheesecake heaven and dig in. Cheesecakes are one of the oldest desserts in existence, traceable back to ancient Greece, where they were served to the Olympic athletes. And it’s no wonder they have been around so long! Simple to make and undeniably irresistible, Cheesecake celebrates this most beloved of desserts. 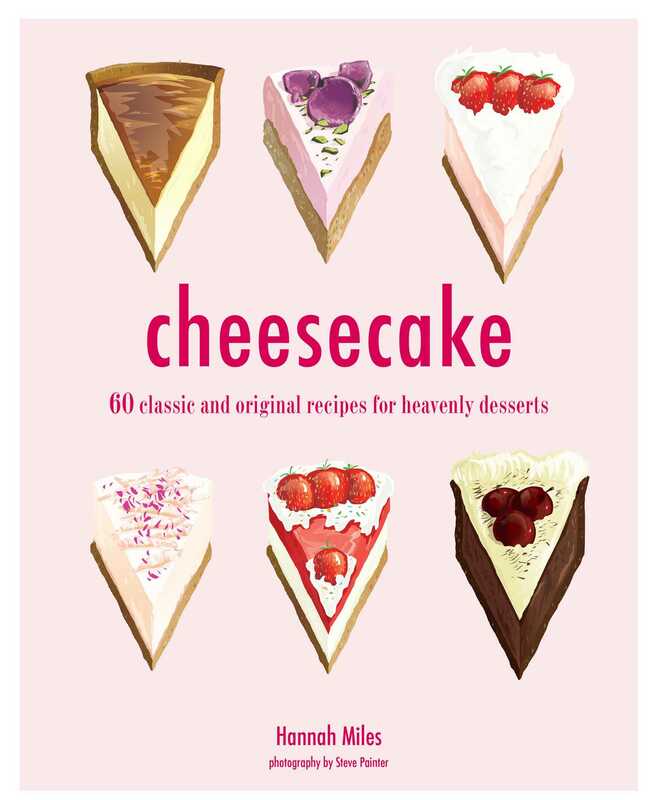 A chapter on the Classics includes simple Baked Vanilla, Raspberry Ripple, and Mini Chocolate Chip cheesecakes. Whatever the time of year, Fruity cheesecakes are the best way to enjoy whatever is in season; try Strawberry and Clotted Cream, Champagne and Pink Rhubarb, or Bananas Foster. For those with the most incurable of sweet tooths, Candy Bar cheesecakes are packed with your favorite confections—from peanut brittle to rocky road cheesecake—while Gourmet recipes add a touch of contemporary sophistication, including Salted Honey, Chocolate Chile, and Crème Brulée varieties. Party cheesecakes offer truly original ideas for brightening any occasion, from pretty Trifle Cheesecakes in glass jars to irresistible Cheesecake Pops! And finally, International skips over the globe to bring you cheesecakes in flavors such as Japanese Cherry Blossom and Italian Tiramisu.